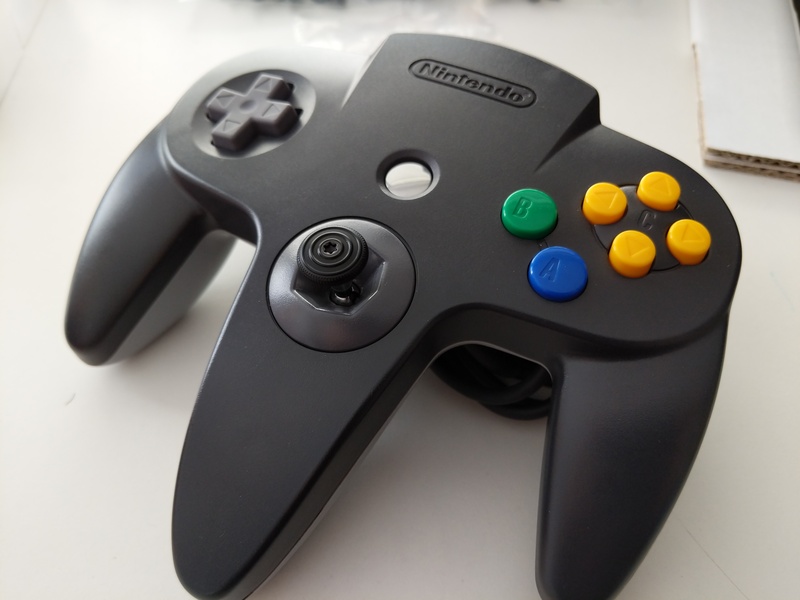 Solid Black and a true IceBlue version has been added. 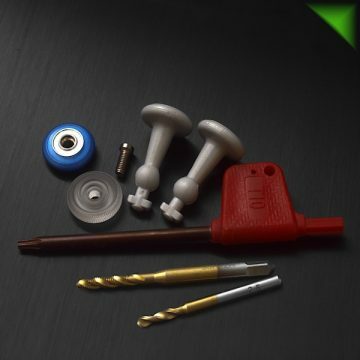 See below for details! 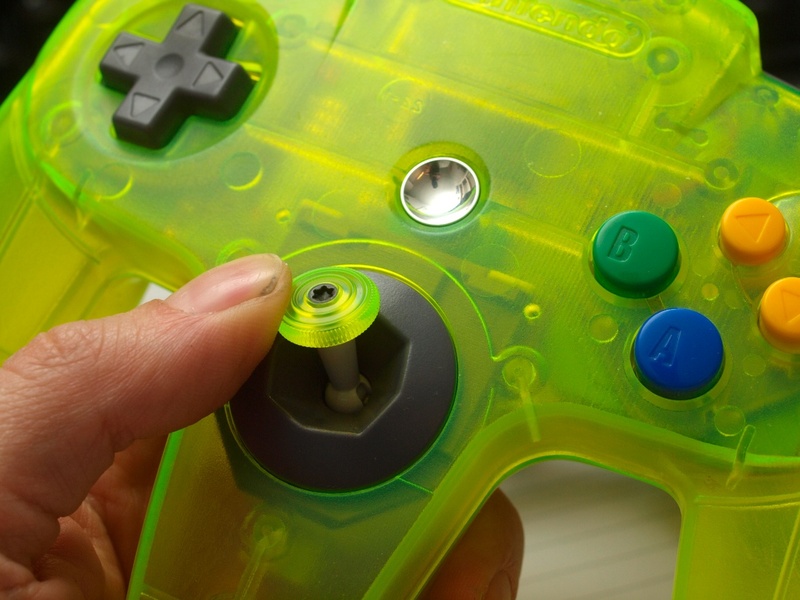 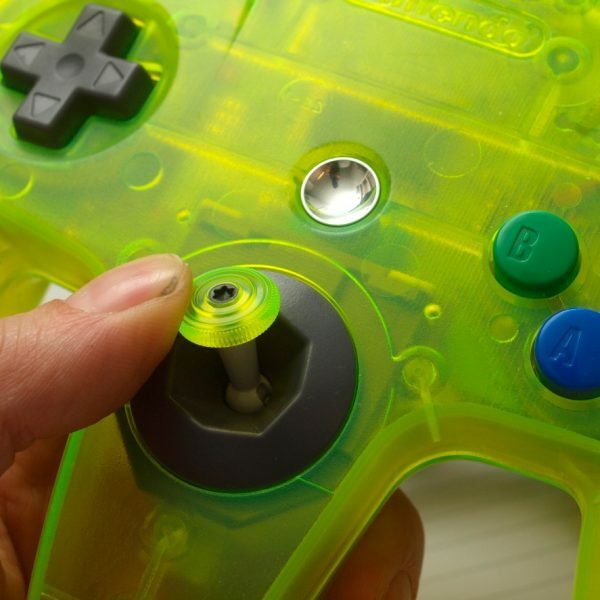 A solid plastic stick cap made from brightly coloured; clear fluorescent Acrylic. 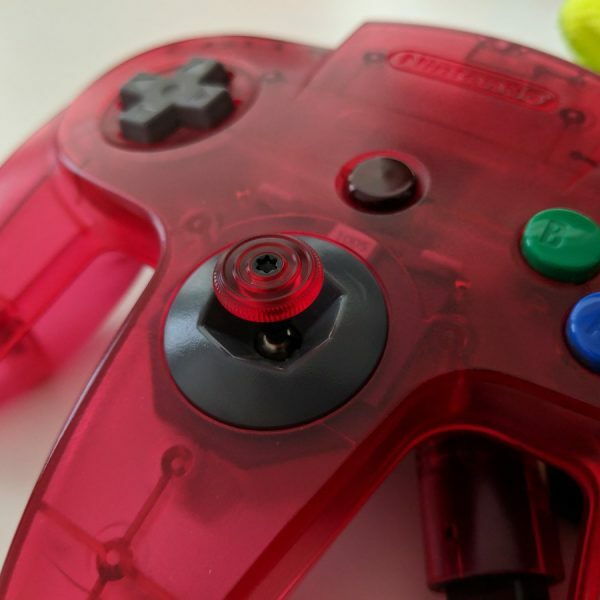 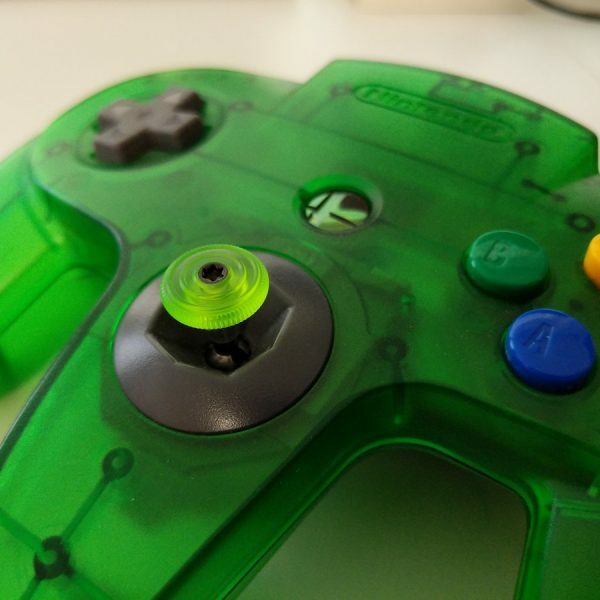 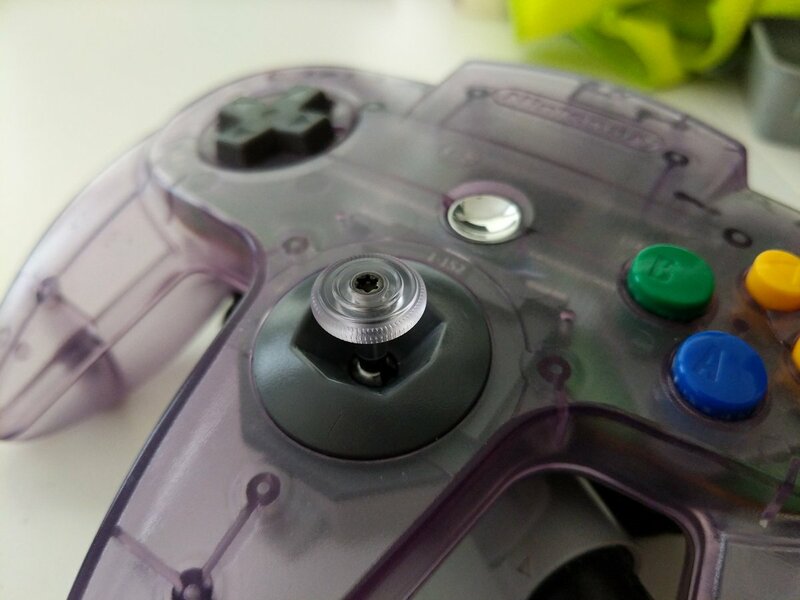 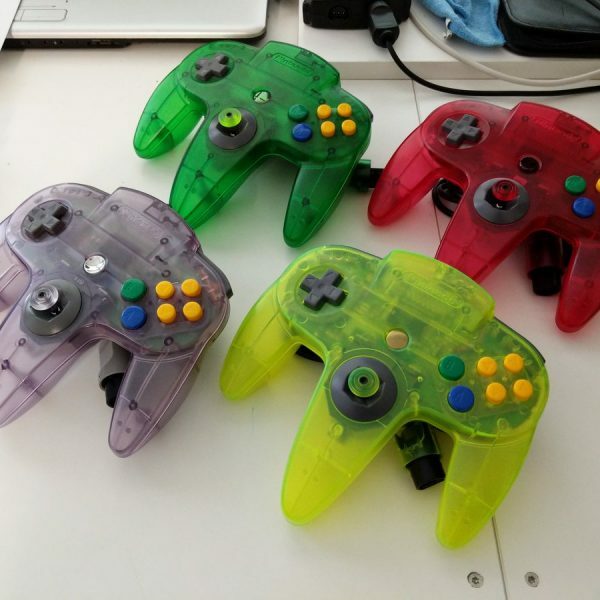 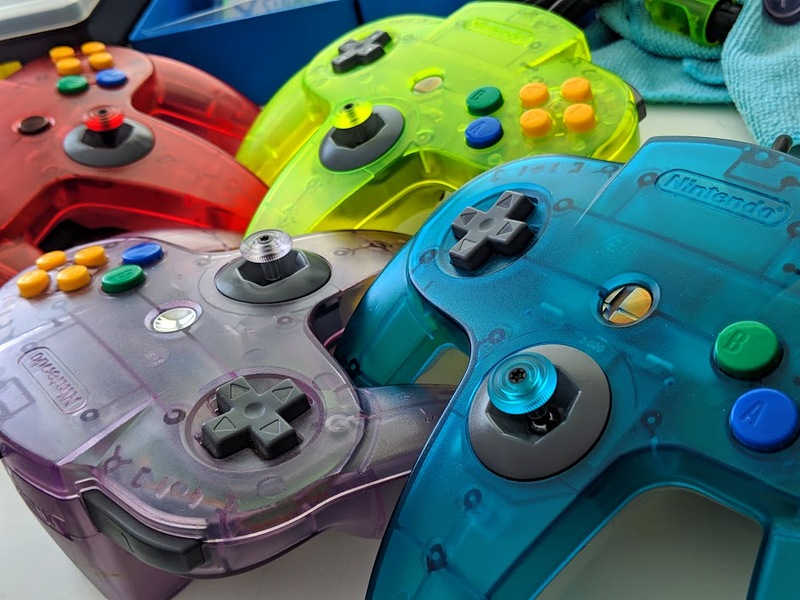 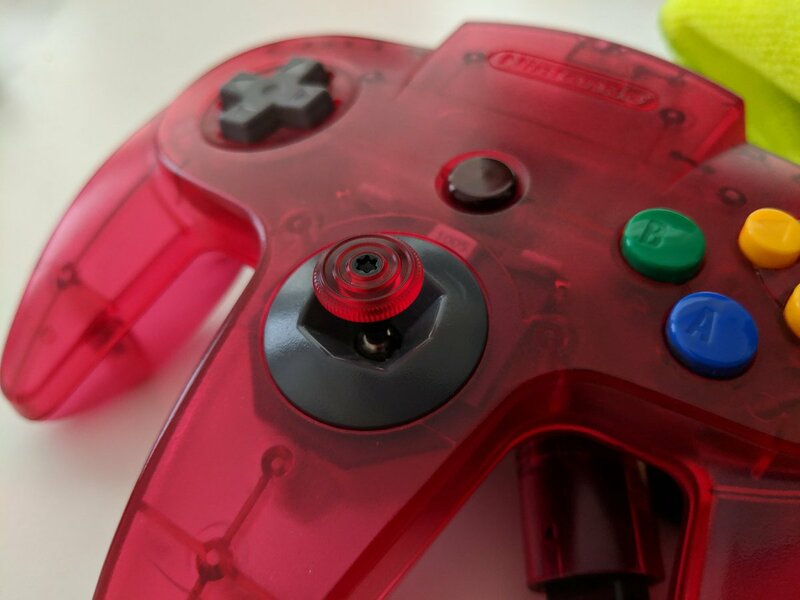 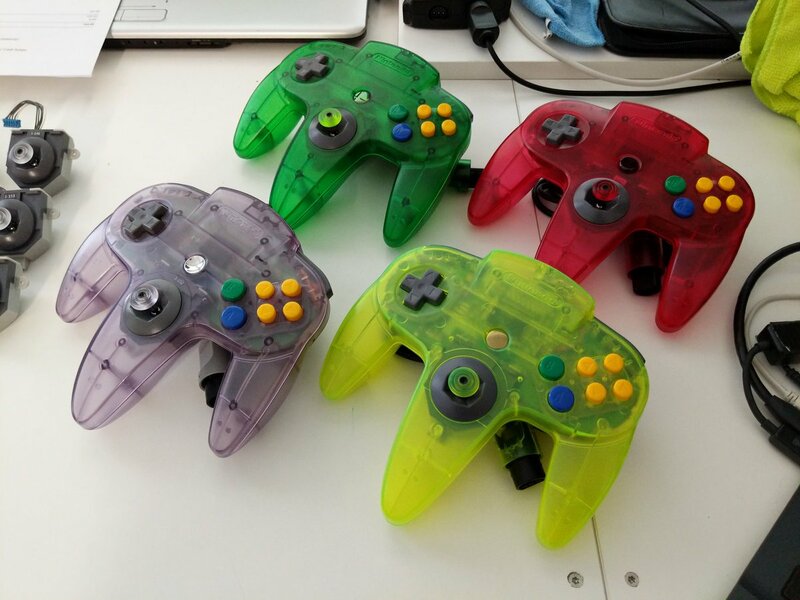 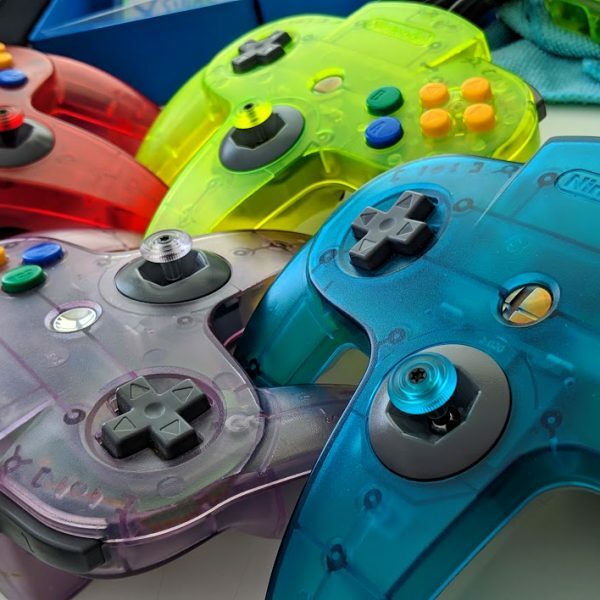 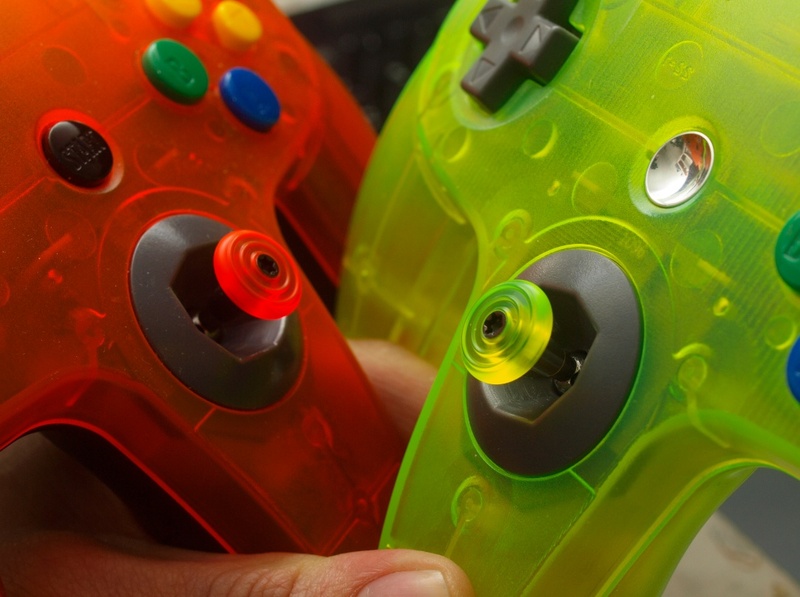 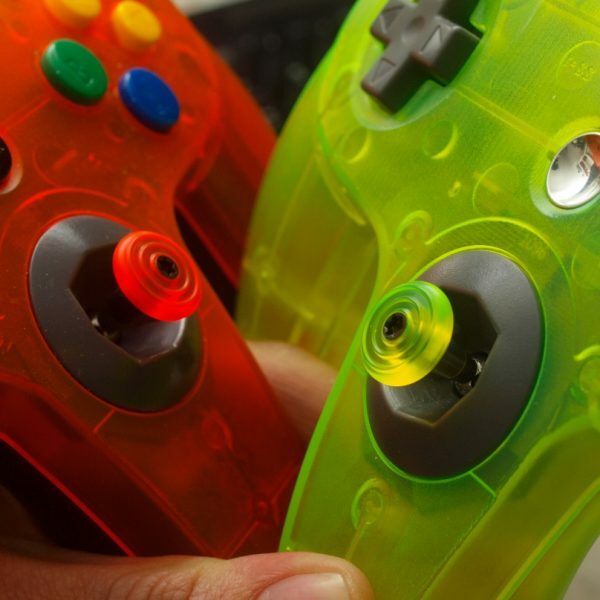 Ideal if you’re looking for a tough plastic cap that still gives you a bit more traction compared to the relatively slipper stock N64 cap. 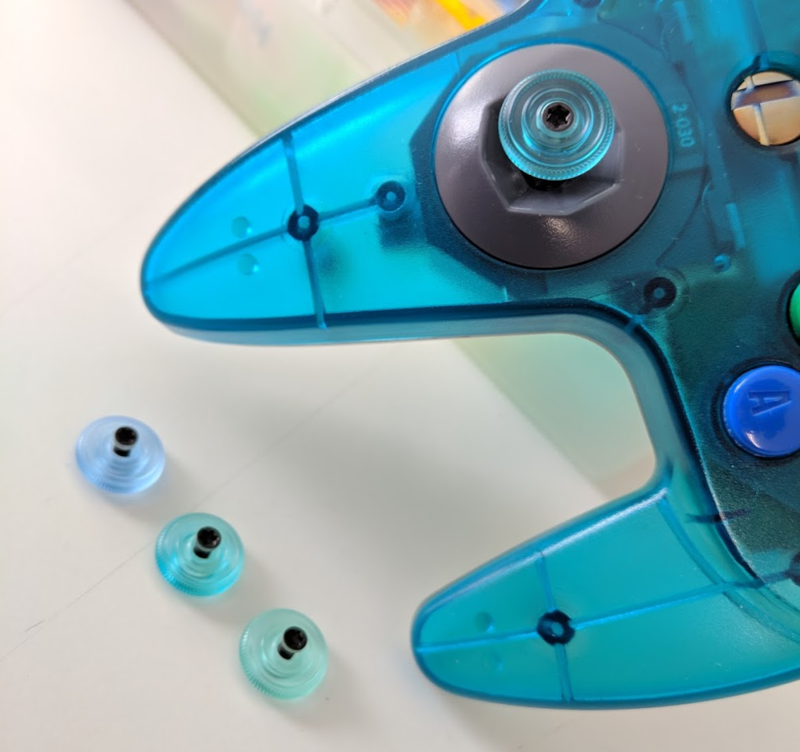 The extra grip comes partially from the material itself, strong concentric (OEM style) grooving on top and a fine knurl patterning along the edge. 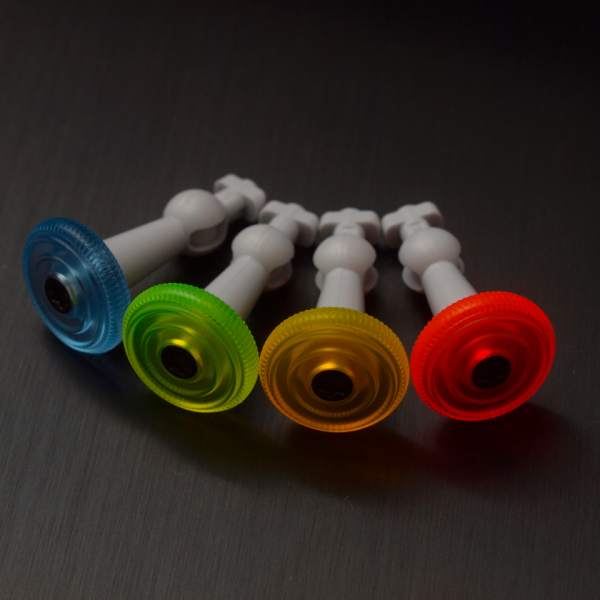 The knurled style is generally referred to as V3 and is identical in form to the Polycarbonate clear variant that has been in use for quite some time. 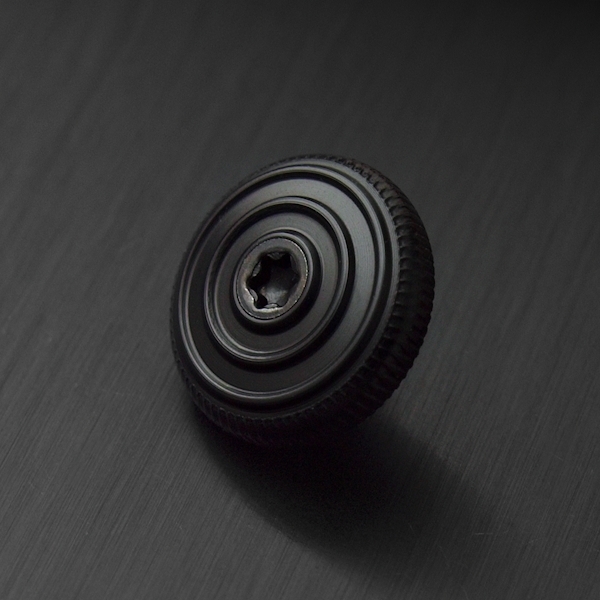 If you’d rather have a smooth cap without the edge patterning just select No on the Edge Knurling box below. 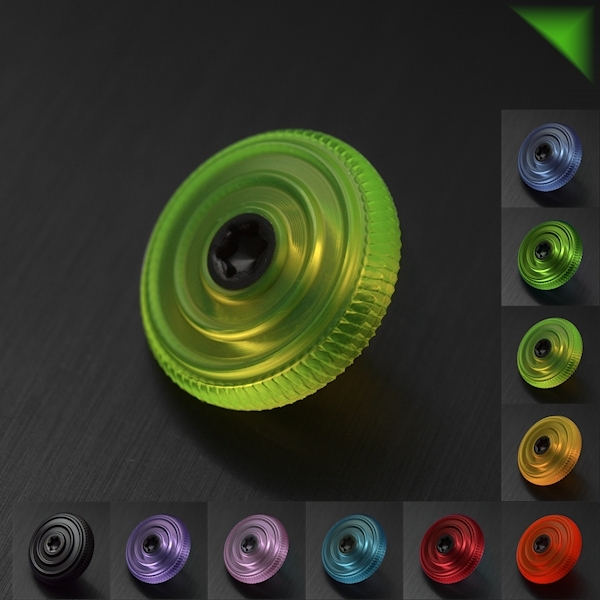 You will get a close OEM replica cap in your selected colour. 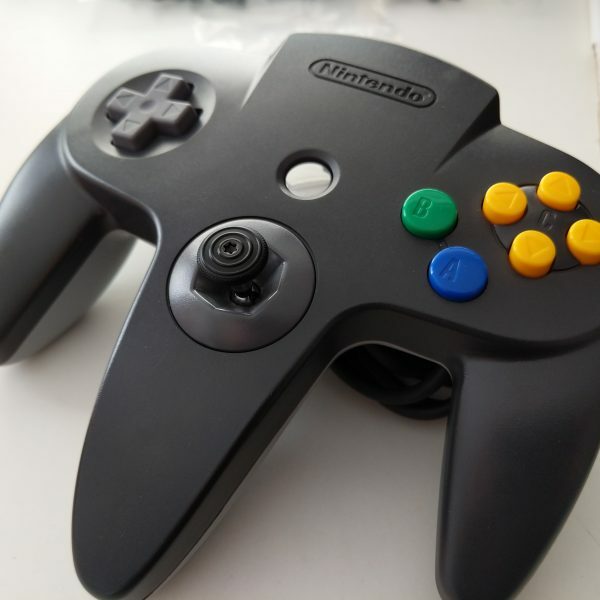 Solid Black is now available! 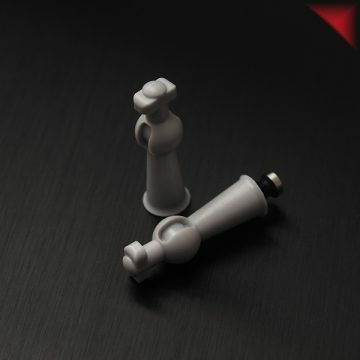 This is a solid/opaque black cap made from Acrylic. 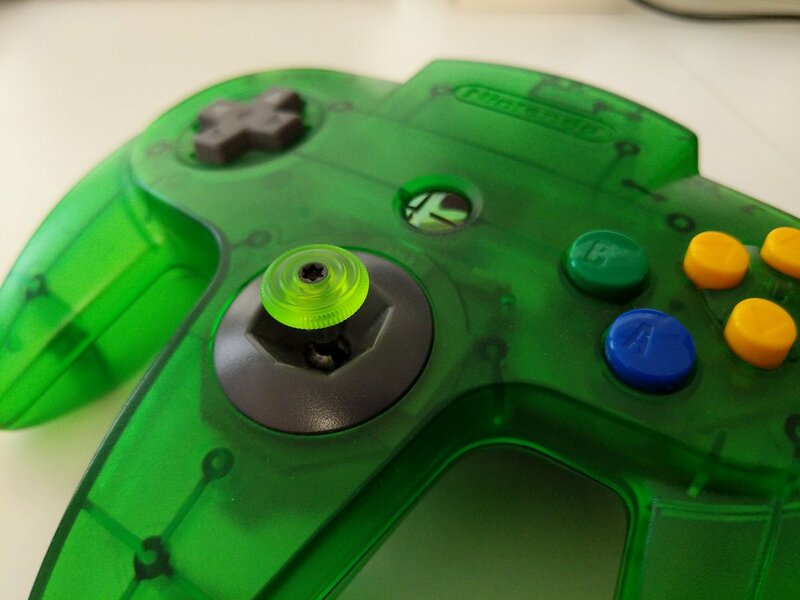 First black cap I’ve been able to offer and makes for a great colour match with a charcoal controller. 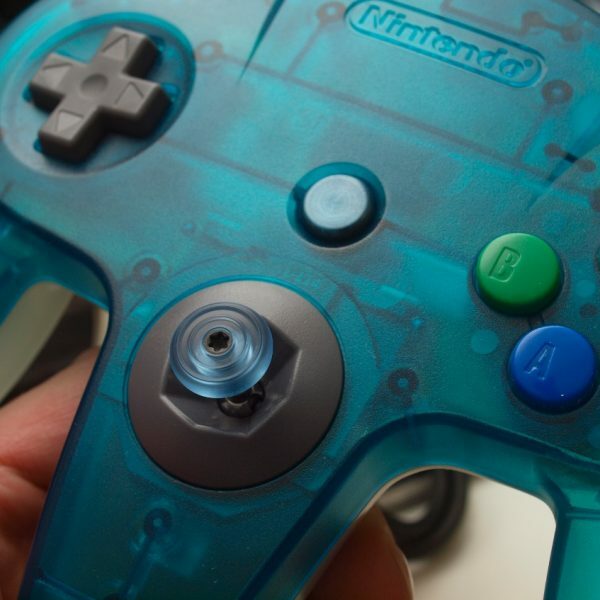 This is a Cyan cap with a secondary paint process applied to the back. 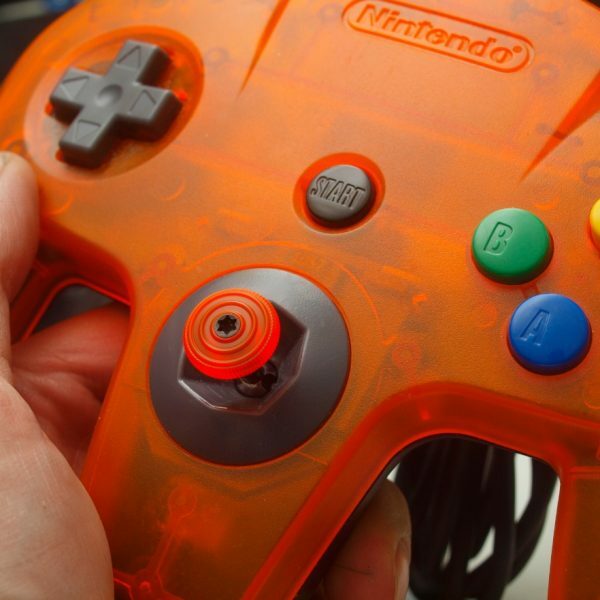 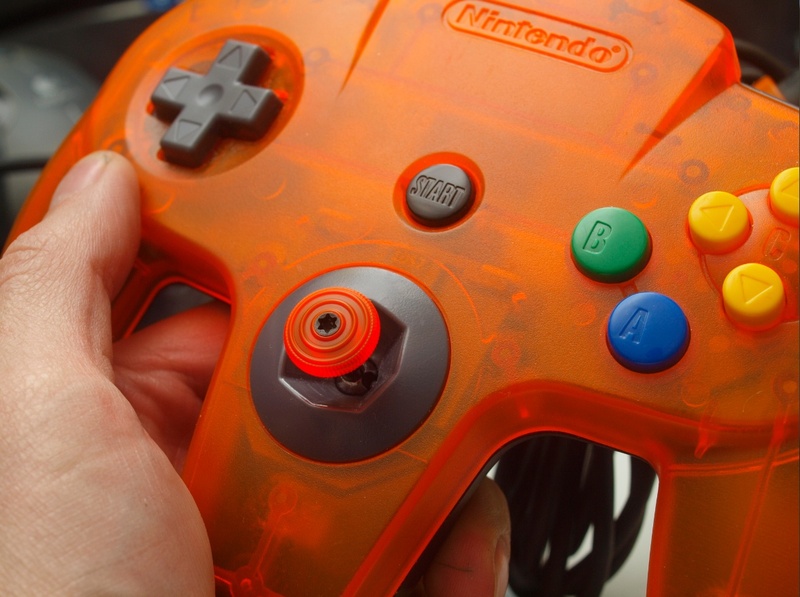 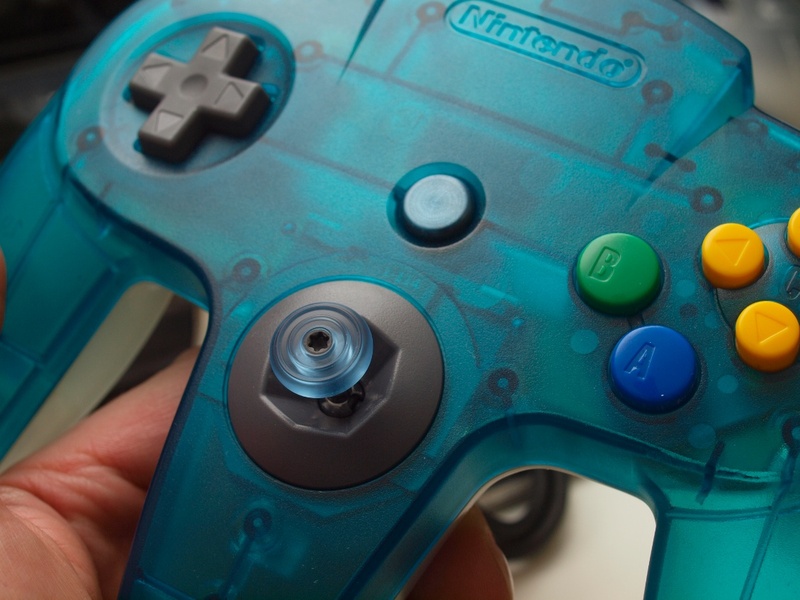 It’s an exact colour match to the complex shade of the IceBlue shell! 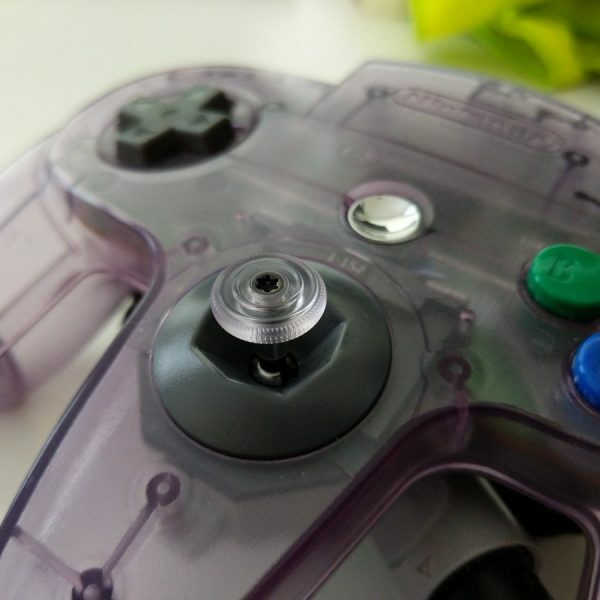 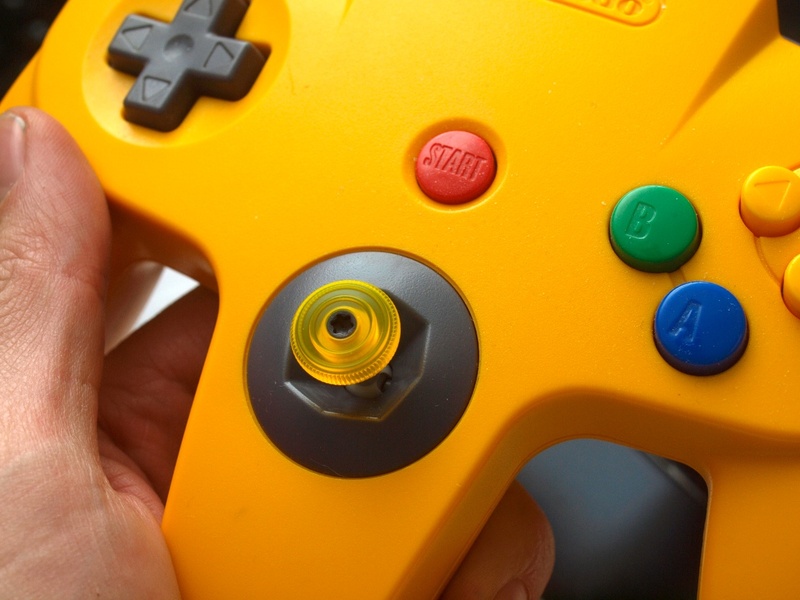 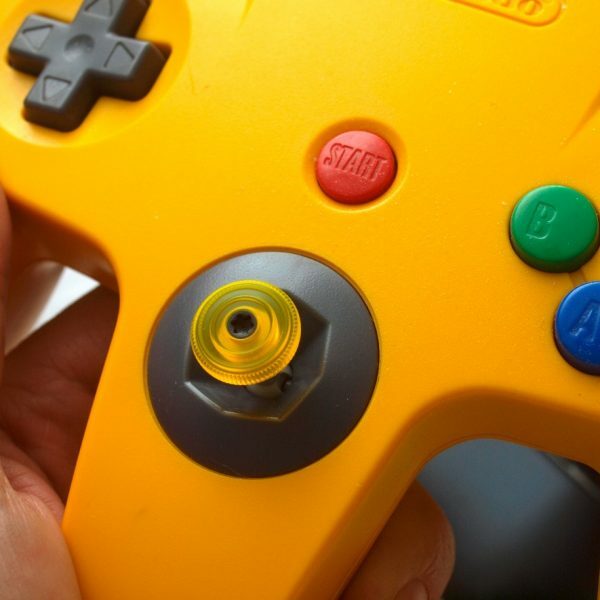 Caps can also be fitted to OEM style sticks using the following methods.